After studying aerospace engineering for two years, I realized that I wanted to actually use the knowledge for something. Still enthusiastic about learning new things, while looking for something more practical I stumbled across the TU Delft Solar Boat Team. This team immediately caught my attention since I’ve always been interested in both planes and boats. Then what would be a better fit for me then a flying boat? I did realize that this year would become a very challenging one, but I fully embraced this challenge from day one. 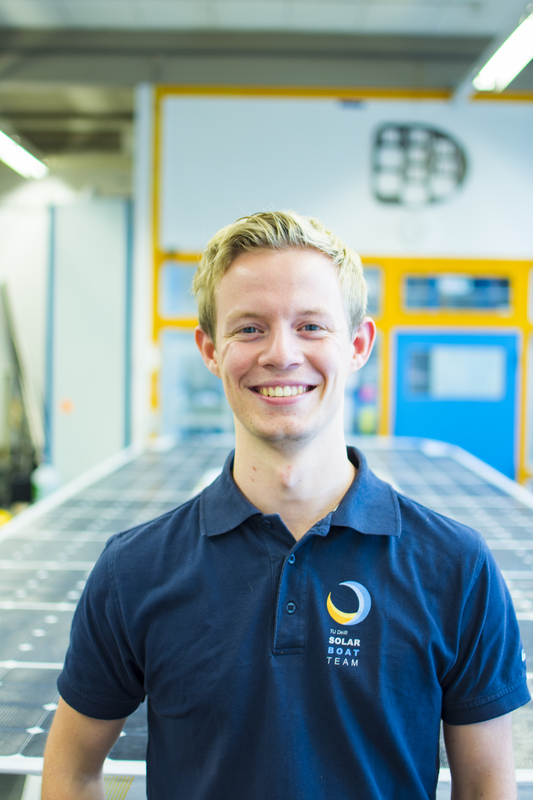 To build an incredibly efficient solar powered boat to race over the sea became my dream from the moment I heard about the plans of the team. With our boat we will strive towards a more sustainable maritime sector and I am glad to be a part of this. This year, I will be designing both the hydrofoils and the struts which connect the foils to the boat. These will be optimized to reduce to drag generated while remaining a stable boat. To size the struts, I will be studying finite element analysis (FEA) at Femto Engineering to ensure that they are strong enough. It’s going to be a busy year, but I’m still looking forward to finding out what it has in store for me, the team and our boat!